Private lessons are available throughout Manhattan. emailed to you within one week and follow up via email. Individual private lessons with Lydia DesRoche $250. Individual private lessons with Lydia DesRoche involving cases of aggression $300. Package of three lessons with Lydia DesRoche $600. The one month intensive is a great way to get your new puppy off to a fantastic start, nip unwanted adolescent behavior in the bud, or retrain adult dogs who have well rehearsed bad habits. We will work with your dog in and near your home 4 days/week for one month and work with you and your dog 1 day/week- usually Friday to catch you up on your dogs new skills. You will receive daily training notes and weekly video updates via email. We may ask that your dog walker, family members, and anyone who interacts with your dog on a regular basis attend some of the sessions if we feel it is needed to maintain consistency. Many of our intensive clients choose to maintain their dogs skills with weekly or monthly follow up sessions and daily walk and trains with one of our recommended walkers. One month intensive with Lydia DesRoche (includes 20 sessions) $3500. 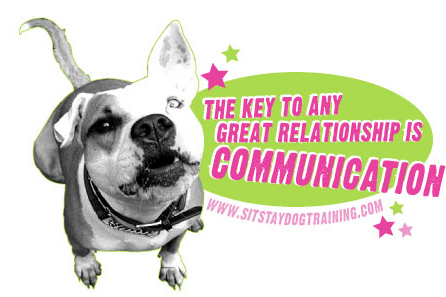 Our goal is to develop a better relationship between you and your dog. In order for that to happen you must be present. In rare cases when the human and dog have long established bad habits with each other we will recommend a board and train. Your dog lives with a trainer for 30 days. You will receive daily updates via email and weekly video of your dog's progress. In order for the board and train to be effective it must be followed up by weekly sessions in home with you until you and your pup are back on track and loving life together. Urban Manners Levels 1, 2, and 3 - Learn a variety of games that use the environment to keep your dog focused on you as the source of all fun. Level 1 focuses on owner skills and includes core behaviors heel, object identification, search, and retrieve. Levels 2 and 3 build upon your dog's natural talent and potential. Velcro dogs - Changing any behavior takes time and patience. Separation anxiety is no exception. We will teach you to improve your dog's confidence and impulse control. Leash encounters - A series of individual workshops addressing reactivity to strangers, other dogs, squirrels, skateboards, scooters, motorcycles, trucks, and a host of other situations. You will learn how to manage, counter condition, and desensitize your dog to the things that take the fun out of a stroll with your best friend. We have no group classes at this time. Please see our resources page for group classes in and near NYC.